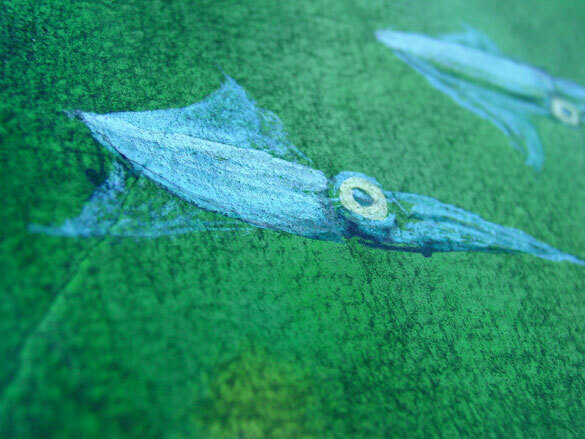 I had originally thought of doing fatter, cuter, cartoony squid on this lusciously bright green background, but then when googling around for inspiration I found some pictures of swimming squid that were sleek and small with big golden eyes. And so we have this little trio, swimming past some big, mossy rock or perhaps a wall in some ruins somewhere. They’re painted in a shimmery turquoise with green-yellow eyes, and a scribble-painted dark teal for shadows and outlines. 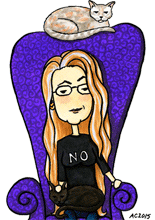 I imagine them cheerfully unaware of their audience, just twirling and dancing around as they swim on by. 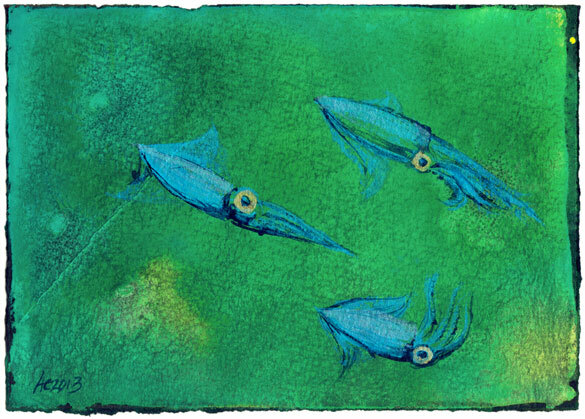 A Trio of Dancing Squid, 7″x5″ watercolor, Japanese watercolor, and duochrome watercolor on Arches cover black paper. Above, you can see the sun shining off the iridescent paint. 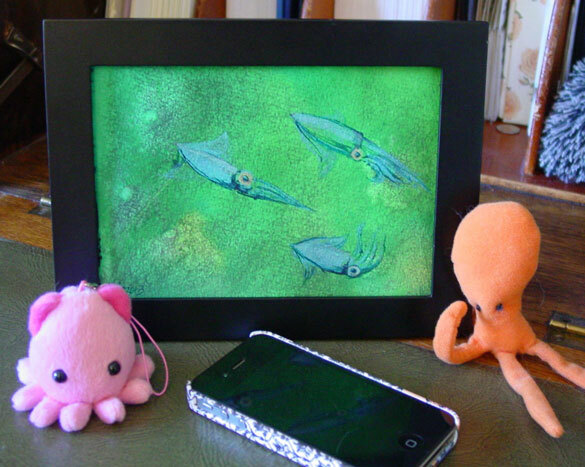 Below, you can see them in their frame, hanging out with some aquatic friends.